All CPR and First Aid certifications need to be renewed every two years. This is true regardless of where you obtain your certificate. If you plan on remaining in a profession that requires CPR or First Aid certification, the cost of renewals can really add up. Our Lifetime Certificates were designed to save you money. Simply order the Lifetime Certificate appropriate for your needs and you won’t have to pay to renew ever again! You’ll still have to take training and exam every two years, there’s no getting around that, but you’ll end up saving hundreds of dollars in renewal costs. • Ability to print your certification card immediately after you complete the course. We’ll mail you a durable, professionally printed and nationally accepted card, but if you need proof right away, the card you print will also work. • Unlimited retakes. Don’t worry about failing the test. We’ll let you take it again and again, at no additional charge, until you pass. • Nationally Accredited. Our courses follow the American Heart Association and Red Cross guidelines. 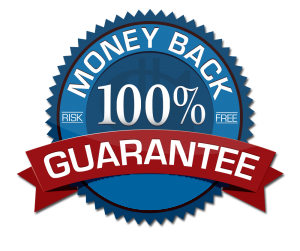 • 100% Money Back Guarantee. If you are not completely satisfied, we’ll give you a full refund without asking any questions*. Find the course you want to take and click on the Buy Now button. Provide your mailing and billing information. After order completion you can immediately begin your training course.